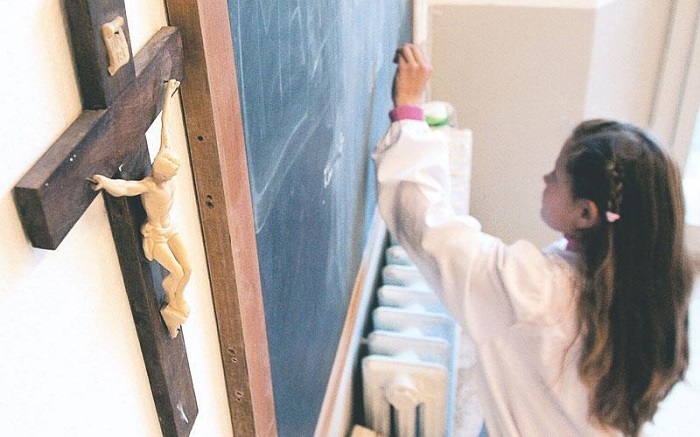 Schools maintained by churches receive nearly three times more state funds than public schools, reports hirtv.hu based on a report from the Budgetary Responsibility Institute Budapest (KFIB). According to KFIB’s report, last year the Hungarian state provided HUF 160,000 (USD 581) per student for church schools to cover material expenses such as utility costs and accessories, while state schools received only one-third of this amount per capita, which could lead to church schools surpassing public schools in quality over time. Secretary of the Hungarian Catholic Bishops’ Conference Gábor Mohos insisted that the church and state schools receive exactly the same amount of funding, and highlighted that the costs of investments in state schools were not taken into account in the comparison. Recreating the church school system after decades of hiatus during the communist regime has been an explicit goal of the governing Fidesz-KDNP coalition. Since Fidesz’s coming back to power in 2010 churches are playing a larger role in Hungary’s educational system at the expense of non-affiliated private schools. The number of students attending church-maintained schools increased by 80 percent since 2011, while the number of church-owned facilities rose 50 percent.